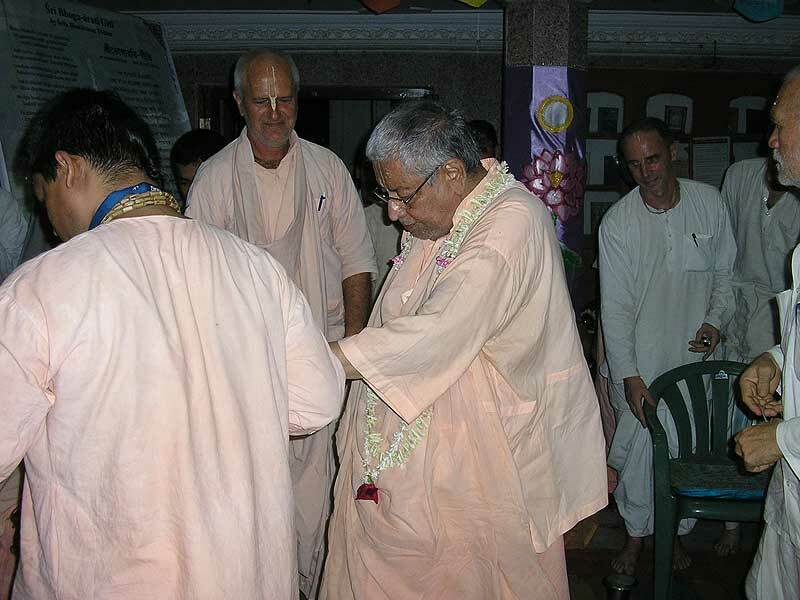 In the late afternoon in the nat-mandir, Srila Govinda Maharaj listened while Sripad Paramahamsa Maharaj read from Srimad-Bhagavatam about the lila of Prahlad Maharaj and Lord Nrsimhadev. 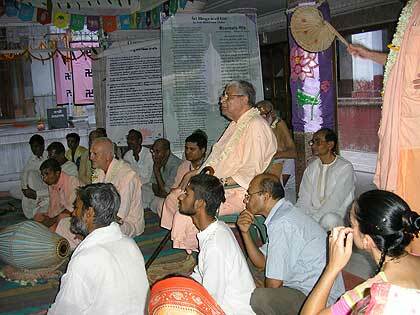 Earlier in the day, Srila Gurudev spoke on his veranda about this special day. 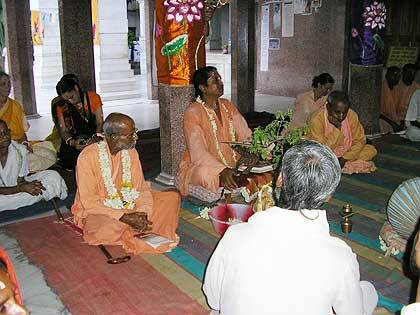 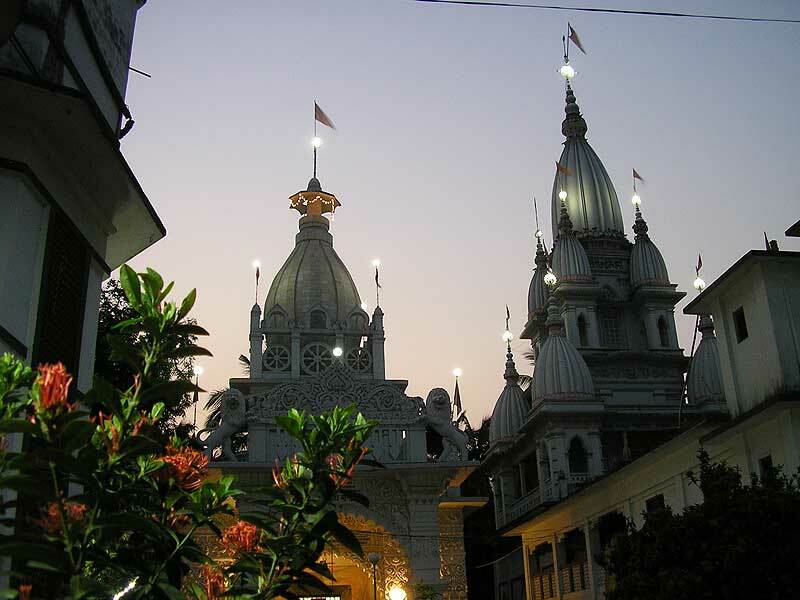 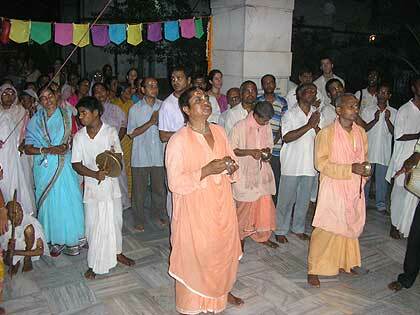 At dusk, Srila Govinda Maharaj led kirttan in remembrance of Lord Nrsimha's appearance at that time. 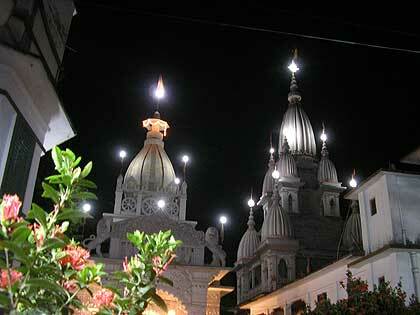 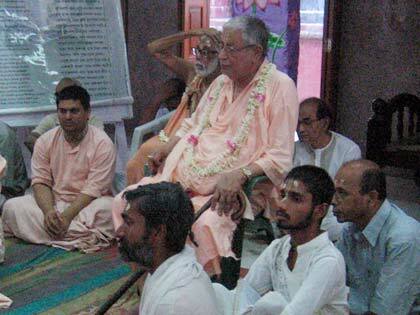 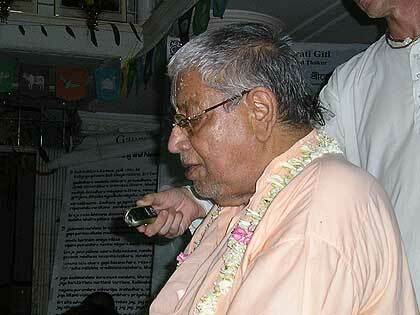 Srila Govinda Maharaj then returned to his quarters as the programme continued with enthusiasm into the night.